Newcomer Family Obituaries - Linda Guenther 1950 - 2019 - Newcomer Cremations, Funerals & Receptions. 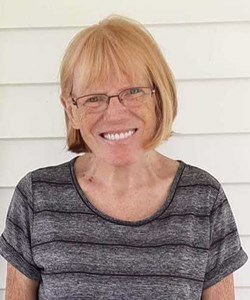 Linda Guenther of Florence, Ky passed away peacefully on Tuesday March 26th 2019 at the University of Cincinnati Medical Center. She was born on September 16th 1950 to Sullivan Runion and Irene Woodyard. She was 1971 graduate of Norwood High School. Linda met the love of her life James Guenther at the Day and Night Grocery in Norwood in 1972 and then the pair devoted their lives to one another on July 14th 1973 at St. Augustine in Covington, KY. The couple moved to Florence Ky where they raised their 2 beautiful daughters. A devout Christian; Linda enjoyed quilting, spending the summers at the family camp but most of all Linda enjoyed spending time with her family. Linda is survived by her husband James Guenther, daughters Amy Bowers and husband Bill Bowers of Erlanger Ky, Jennifer Sullivan and husband Ryan Sullivan of Independence Ky, siblings Sullivan Runion Jr and wife Kathy of Corinth Ky, Patricia Runion of Lawrenceburg In, and 10 grandchildren. A Funeral Service will be held at 10am, Saturday, March 30, 2019 at Newcomer, Cremations, Funerals, Receptions. Interment to follow services at Floral Hills Memorial Gardens. Visitation for Mrs. Guenther will be held Friday, March 29, 2019 from the hours of 6pm - 8pm at the Newcomer, Cremations, Funerals & Receptions. To leave a special message for the family online, please visit www.NewcomerCincinnati.com. Add your memories to the guest book of Linda Guenther.